Travelling to Dubai has become more affordable following the launch of a special offer from Malta to Dubai with Emirates airlines. The special fare of €549 will apply to customers booking their holiday or business trip until February 17 and travelling to Dubai any time until June 30. From Dubai, Emirates also offers an extensive network of over 158 destinations in 86 countries and territories operating a modern fleet of 274 wide-body aircraft. Maltese travellers can seamlessly connect via one stop at Dubai International Airport to popular destinations in the Far East and Australasia. In addition to choice and connectivity, Emirates also offers its customers industry-leading comfort and services. 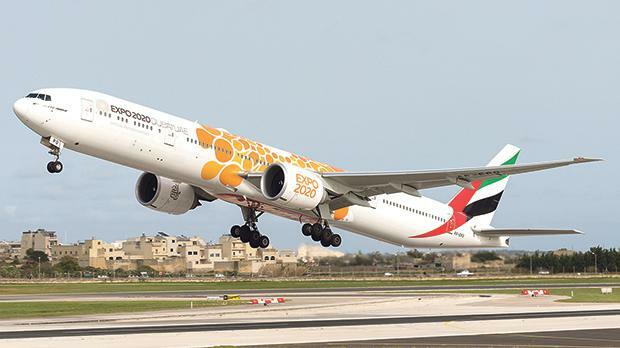 The Malta-Larnaca-Dubai flight is operated by an Emirates wide-body Boeing 777-300ER aircraft with eight Private Suites in First Class, 42 lie-flat seats in Business Class and 310 spacious seats in Economy Class. Customers across cabin classes have access to over 4,000 channels of audio and visual entertainment on Emirates’ ice system, from the latest movies to TV shows, music and games. As part of the Emirates experience, customers also enjoy complimentary beverages and regionally inspired meals, as well as the famed hospitality of the airline’s multi-cultural cabin crew, including crew from Malta. Emirates also offers a generous baggage allowance of up to 35kg in Economy Class, 40kg in Business Class and 50kg in First Class. Emirates launched its bold new brand promise inviting travellers to ‘Fly better’. The brand promise is aimed at driving innovation and being better, throughout all facets of air travel. To find out more or to book a flight on Emirates at these special fares, visit emirates.com/mt or contact your local travel agent. Passengers booking online are being offered a free bronze ticket to La Perle by Dragon ( https://www.emirates.com/mt/english/offers/5775801/special-fares-and-experiences ).